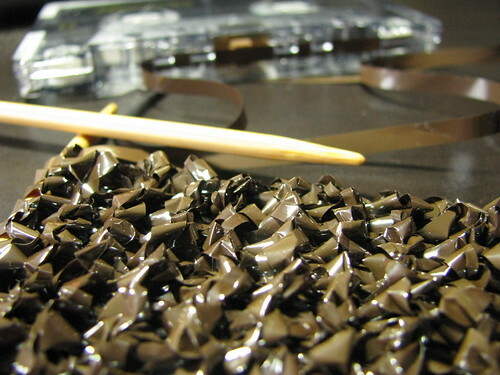 Sometimes I just get a weird idea in my head and I just have to see how it works. 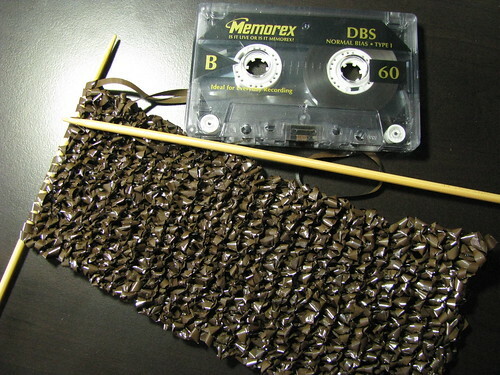 You can knit with cassette tape ribbon. You’ll end up with a very light scarf that rustles in an irritating way with every movement and isn’t comfortable to wear. Still, it is kinda cool.